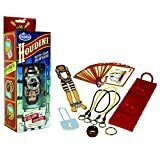 Normally, trusting an escape artist like Harry Houdini with your lock security wouldn't be advised, but since he's long gone now, these cool new Houdini Puzzle Locks should provide a little extra protection to thwart most thieves, friends, family, and snoopers. 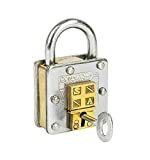 There's no magic keeping these puzzle locks deviously locked, just knowing the secret trick and having the key is all you need to crack them. Great for magic tricks, locking up your stuff, and just looking cool, but if you plan on using them for a seemingly impossible escape attempt, don't forget the trick! 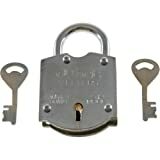 Available in two styles: Dead Lock and Lock and Key. Size: 3" x 1.8" x 1"